Even kids want to play like the big dart. 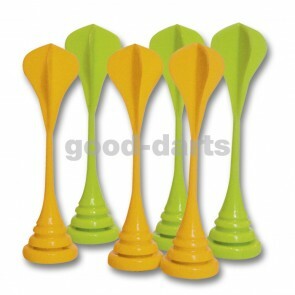 Magnet Dart for kids is perfect for safe darting. Magnetic arrows without tips keep the arrows on the magnetic dartboard after the throw. 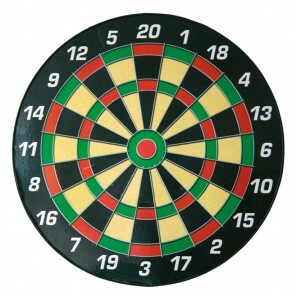 The magnetic dartboard can easily be fixed to the wall with a nail or screw. In Dart, a Magnet Dartboard is the perfect solution to create an alternative with minimal risk of injury for kids playing darts. The darts for children will adhere to the dartboard due to the magnets and will not cause any particular damage when they are hit next to the dartboard. 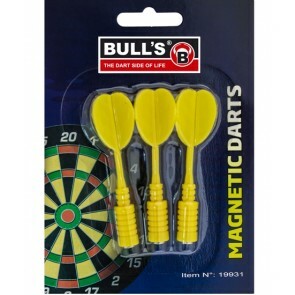 The darts for children are matching the Magnet Dartboard in different colors like red or yellow. ATTENTION: Magnet Dart is only suitable for children from 4-5 years. Keep the Magnet Dartboard out of moisture.